WASHINGTON, D.C. – (RealEstateRama) — The Solar Energy Industries Association (SEIA) and the Solar Energy Finance Association (SEFA) are joining forces and forming a new entity under SEIA to support wide-scale, low-cost solar deployment through better access to investment capital. Under SEIA, the two entities will better serve their membership and act as a single voice and organizing force for current and potential solar developers, investors and lenders. The associations will create the Solar Energy Finance Advisory Council (SEFAC), which will be used to leverage the expert insight of its participating members to expand and lower the cost of investment capital to meet the growing needs of the solar industry. Expand the supply of tax equity from banks, corporations and other potential investors, which is a critical source of capital for solar project deployment. Open capital market opportunities through asset-backed securitizations, which are long term debt and equity investments that provide solar developers a powerful way to raise low-cost capital. Reduce tension points in debt and tax equity which can often complicate solar project finance. Communicate the technical and financial performance of solar projects to improve understanding and confidence among investors. To participate in the Finance Advisory Council, please contact ">Mike Mendelsohn, SEIA’s Sr. Director of Project Finance & Capital Markets. The Solar Energy Finance Association (SEFA) was a leadership forum for solar energy capital markets solutions and the focal point for the industry common purpose and national outreach for the benefits of solar adoption in the United States. SEFA was founded with the purpose of expanding availability of capital for distributed solar energy by promoting industry best practices; standardizing financing documents; and informing investors, consumers and other key stakeholders about distributed solar. 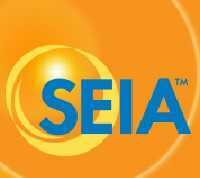 As of January 3, 2017, SEFA will continue its mission as part of the Solar Energy Industries Association (SEIA) under a new working group, the Solar Energy Finance Advisory Council (SEFAC). For further information, please visit SEFA-finance.org.